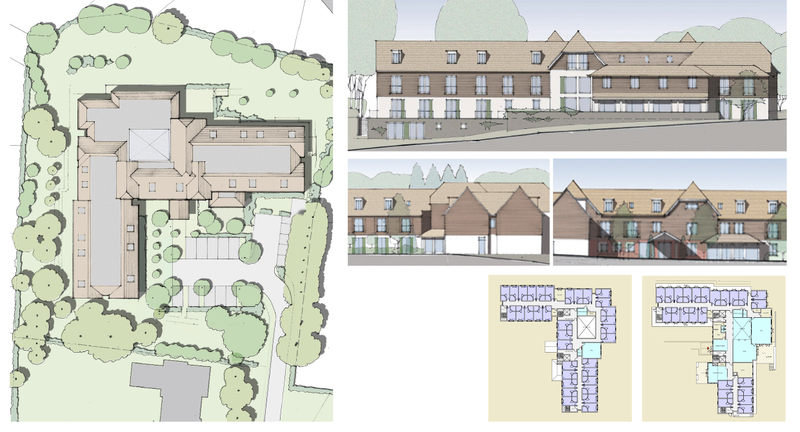 The 78 unit extra care facility is site within generous grounds in an elevated tranquil position configured to offer pleasing near and distant views, from all accommodation. Interior/exterior connectivity and natural daylighting have been accentuated by the large, open interior court with views over the exterior landscaping, which provides a focal point at the hub of the home. The site topography is not without its challenges but all interior and exterior surfaces have been regraded to offer access for the mobility impaired from street level. Secure gardens offer a tranquil and peaceful environment for residents.